Brittani is the owner and designer behind Untitled Thoughts, a sustainably driven clothing line based in Georgia. She loves all things nature and you can often find her dabbling in new ways of bringing the outdoors in to both her home and work. Usually, she is accompanied by her cat, a hot cup of coffee, and a tried and true Netflix series! My name is Brittani and I am the owner/ designer of Untitled Thoughts. I absolutely love everything about nature- if I could live entirely outside, I probably would! 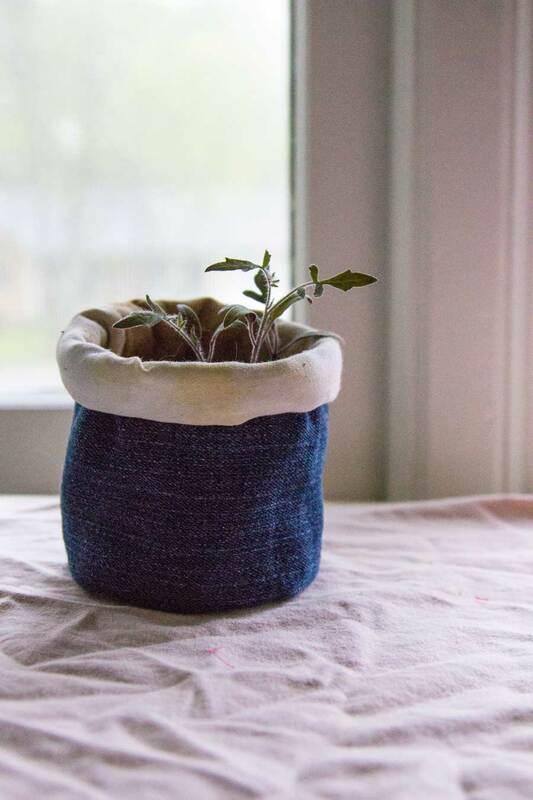 Which is why I am SUPER excited to be able to share this awesome DIY Project with you for Earth Day!If you are a plant lover like me, then you might have a healthy collection of plant babies spread around your entire home just waiting to be placed in the perfect spot with all the sun shining on them. Perhaps they came in a plain looking plastic container that you are looking to spruce up? 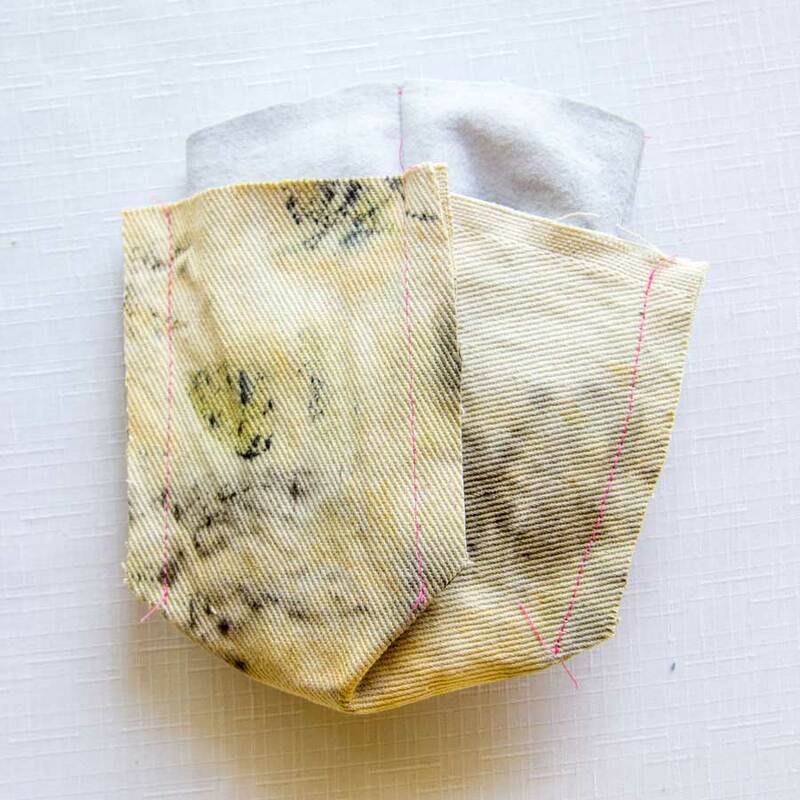 Well look no farther than these hand dyed (using materials you probably already have on hand!) pot containers! Below, I have included a free downloadable PDF pattern! This includes 2 different style flower pots in 3 different sizes each, creating an endless possibility of pots! 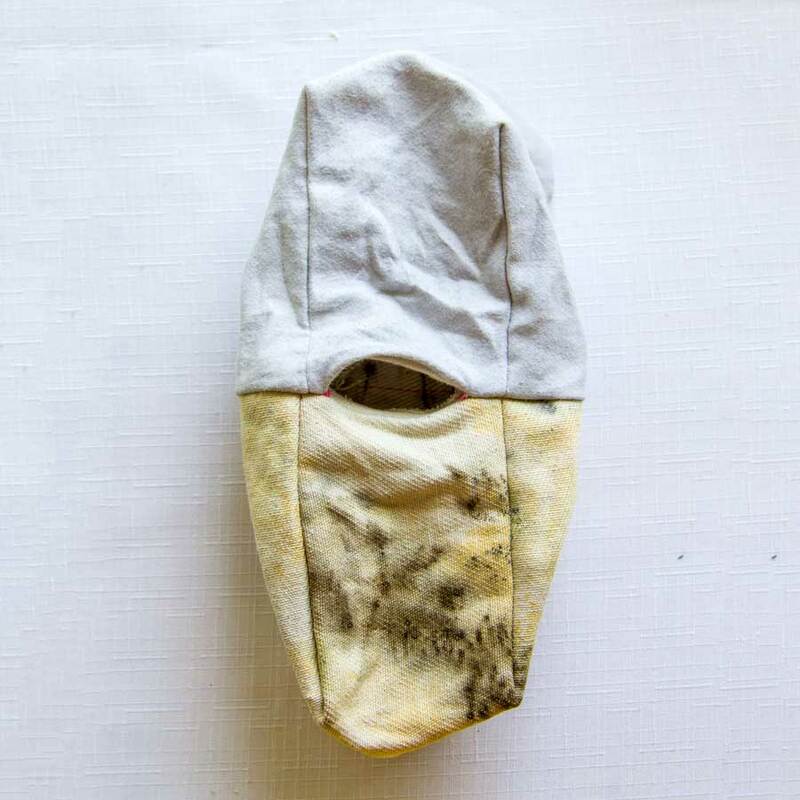 What is great about this project is that it requires very minimal sewing experience, zero dyeing experience, and an open mind! When I first started testing this pattern, I wanted to make sure that recreating it would be an easy, fun, and experimental task. First, you’ll want to wash your bedsheets on the hottest possible setting with an all-natural laundry detergent in your washing machine. Doing so will remove any special finishes the manufacturer may have added to those sheets to get them crisp, white, and all around ready for sale. 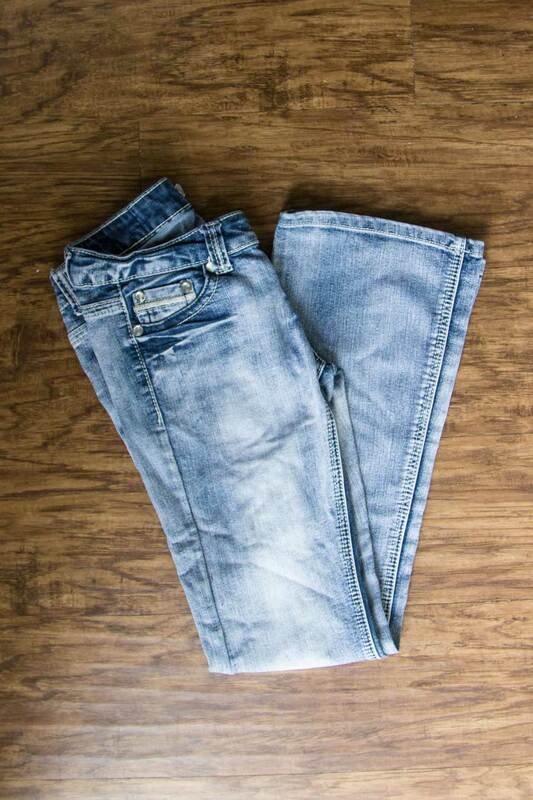 While your sheets are getting sudsy, we can start cutting into your old jeans. Measure the greatest width of your pot, pick your flower pot shape, and cut out the corresponding paper pattern pieces for that pot. 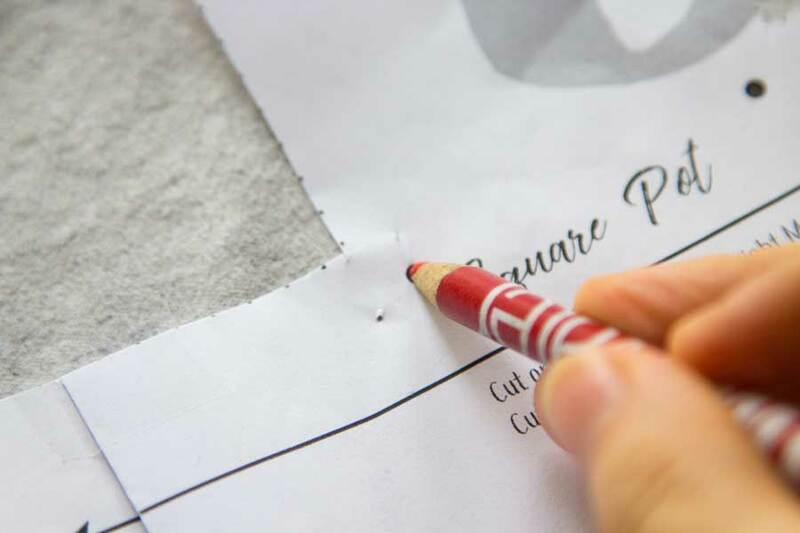 *Helpful Tip: You may want to trace off each pattern separately so that you can make multiple pot sizes/ styles in the future instead of having to reprint the entire PDF every time you wish to create a new pot*Lay your paper pattern on top of your heavy weight material and cut out the correct number of pieces your pattern calls for. 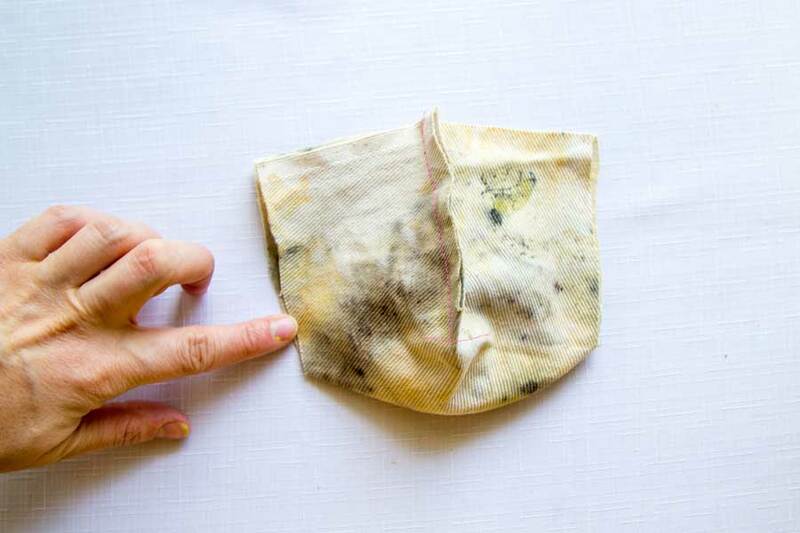 By now, your sheets should be done washing. 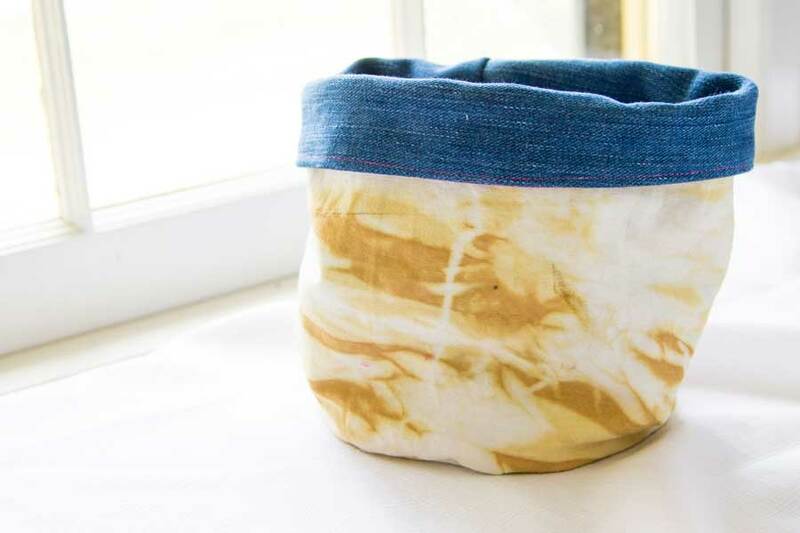 We won’t need to dry them as dye takes to fabric best when the fabric is already wet, but we do need a dye pot ready before we can start the dye process. Feel free to have fun at this stage and experiment a little. I always go into dyeing with zero expectations, as each dye bath tends to have a mind of its own and do what it wishes. For my pots, I decided to play with an Onion Skin Bath (creates beautiful yellows, oranges, and greens), an Avocado Skin + Pit Bath (creates beautiful pinks and oranges), and a Black Bean Bath (creates a really cool Blue-grey, purples, and browns). These were all items I had been collecting for some time and I thought this would be the perfect project to play around with them! 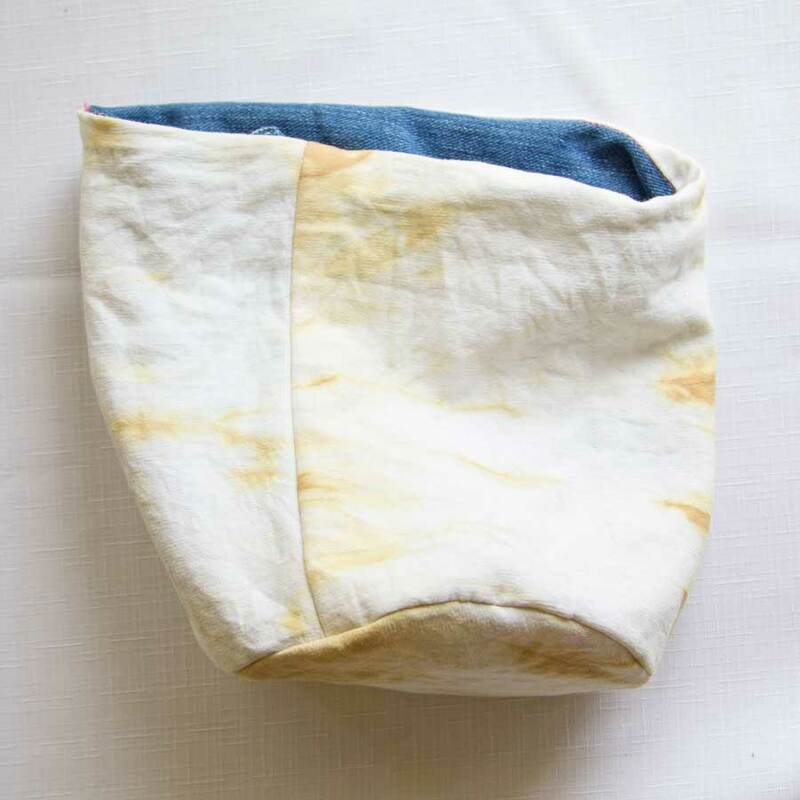 Now, usually in dyeing, we would soak our fabric in something called a Mordant which helps bind the color to the fiber. However, I know that mordanting can be a long process requiring materials most of us don’t have lying around the house, so I opted out of using them in this project. I did, however, add iron water to some of my dye baths to help the color set as iron water acts as a natural mordant. In order to create iron water, simply fill a glass jar with 2 parts water to 1 part white vinegar and rusty items such as nails. Let your jar sit in a sunny place for 1-2 weeks. 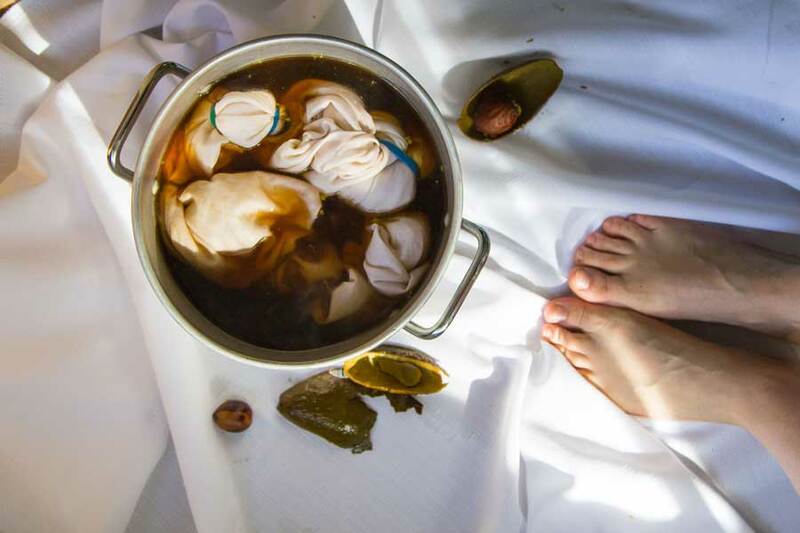 It should be noted that if you use iron water in your dye baths, you shouldn’t use much (a little goes a long way! ), it can dull your colors, or it can shift them entirely. One of my onion skin baths had too much iron water in it which created an army green shade on my fibers when I was hoping for a rusty orange, however, the iron water in my black bean bath shifted the color from a dull brown to a pale grey-blue. Creating your dye bath is probably the most fun part of this entire project, and it is oh-so-simple! 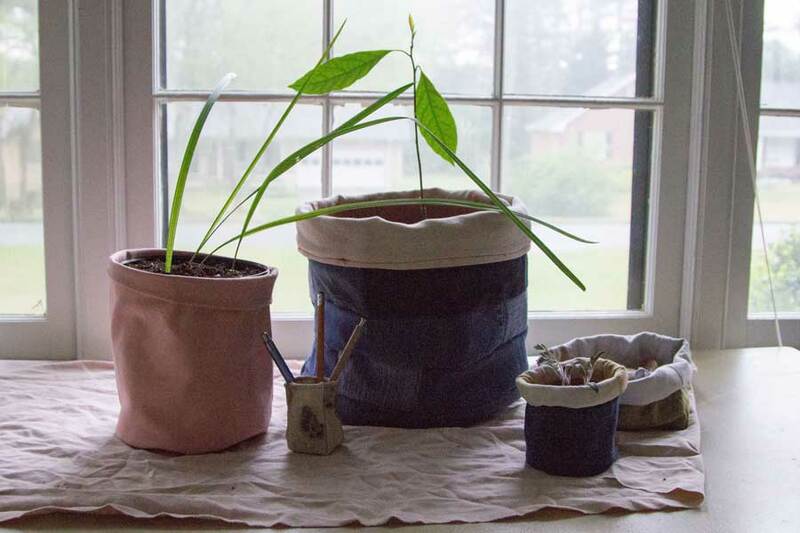 Place your plant material in a pot. Double the amount of water to plant material. Simmer your material in the pot of water (lid on) for about an hour. * Turn the heat off and leave your plant material in the water overnight to allow the dye color to deepen. In the morning, simmer your material for another hour before straining out the plant debris. Return dye to the pot. Now you are ready to dye some things! 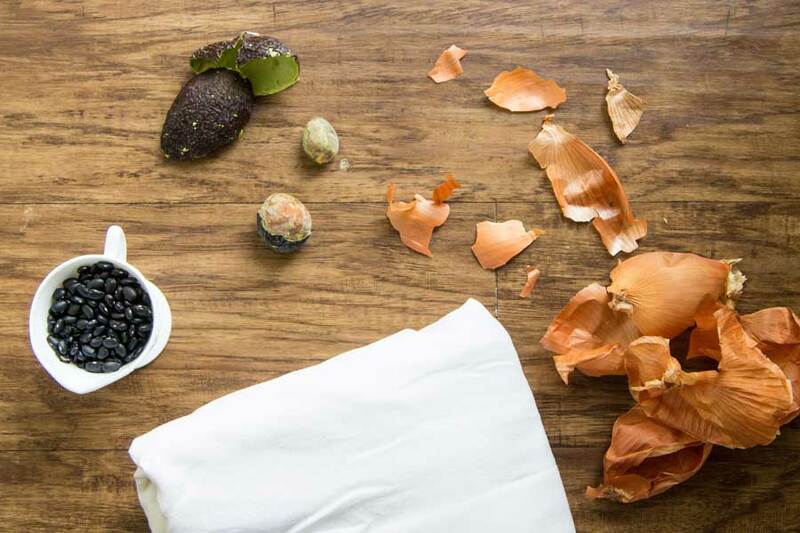 *Black beans require more time to cook to extract their maximum dye potential. I actually soak my beans overnight in cool water and strain off that liquid before putting them into a cooking pot. I then cook them until the beans are soft enough to eat (hey, why waste perfectly yummy food?) and add the additional liquid to the cooled liquid from the night before to create an entire dye bath. Before you dye your items, you may want to play around with design. I like to use rubber bands to wrap items up in squares and twists and turns. This adds more depth to the dyed piece and it is fun to see what certain fabric contortions lead to various patterns. 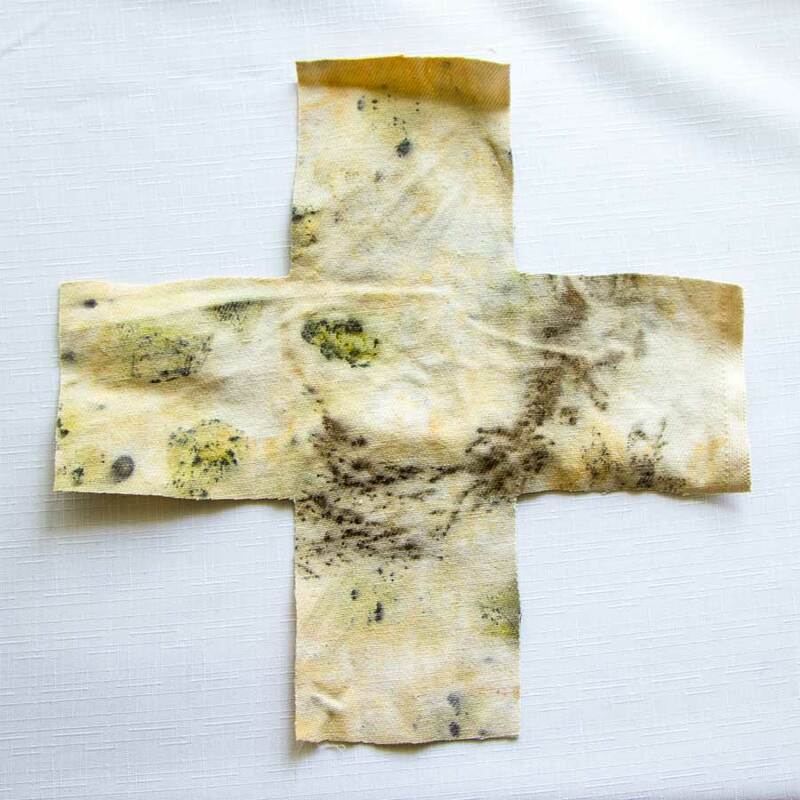 You can also just add your entire sheet into your dye bath for a more uniform color. Whatever floats your boat! Once your fabric is in the dye bath, allow it to simmer for one hour before turning off the heat. If you need to, feel free to add more water to your dye bath. 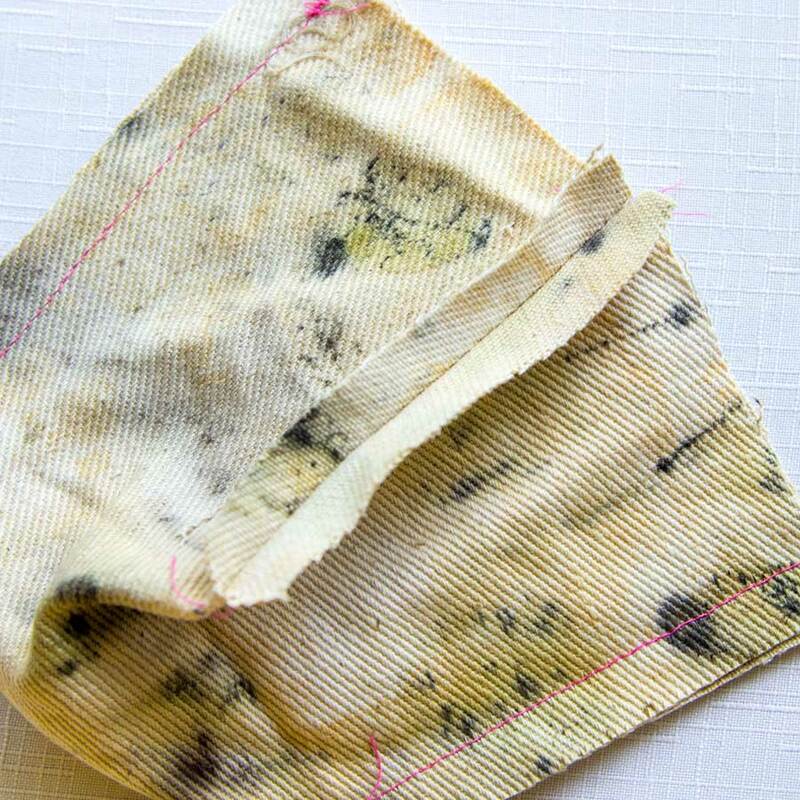 You want enough water so that your fabric can move freely and soak up all that yummy dye goodness. Next, you will want your fabric to sit anywhere from 2-24 hours in the dye bath. The longer your fabric sits, the deeper the shade of color you can achieve. 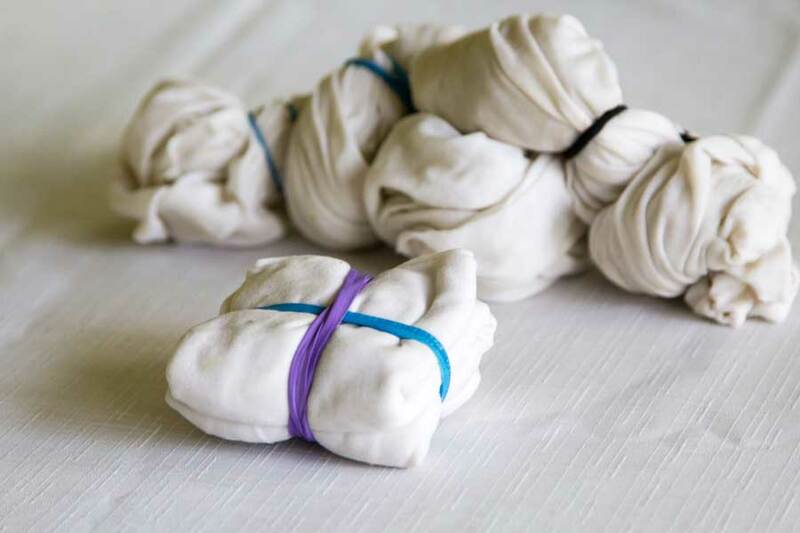 Once you are satisfied with the color of your fabric, take it out of the dye bath, remove any rubber bands or ties, and rinse your fabric in cool water to remove any excess color that didn’t attach. 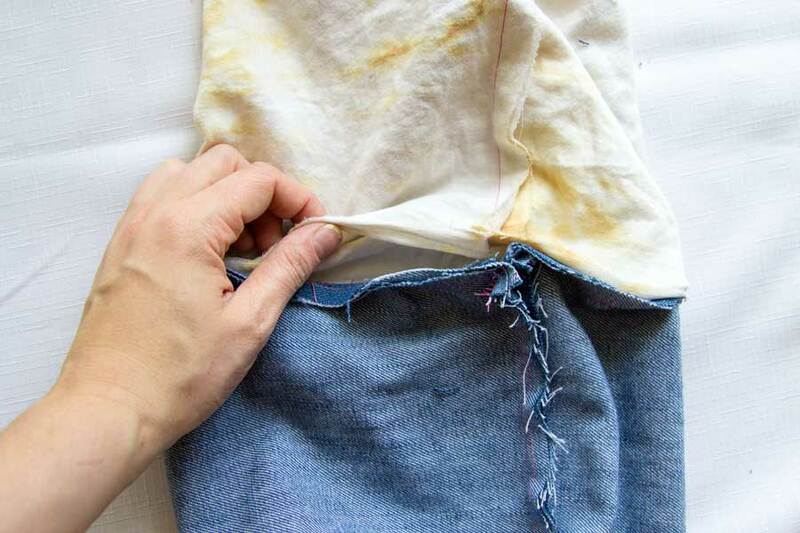 Throw your fabric in the dryer, or hang it out to dry in a dark room away from direct sunlight. 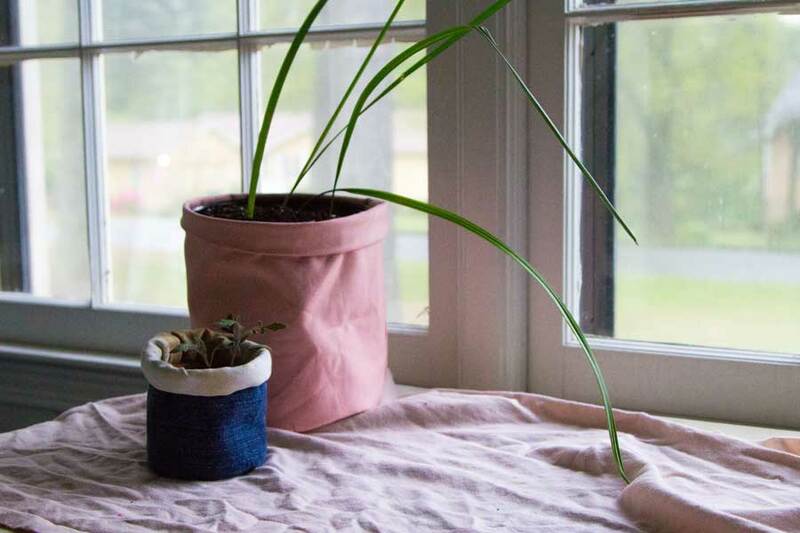 Once your fabric is dry, proceed to cutting out your flower pot pattern pieces! 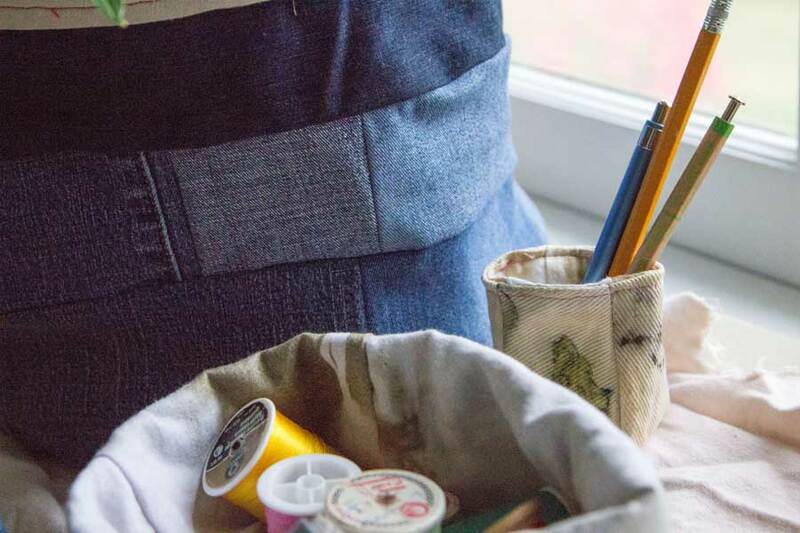 If you are doing a Square based pot, you will only be cutting out one of each denim pattern piece and the square shape provides plenty of structure! 1. 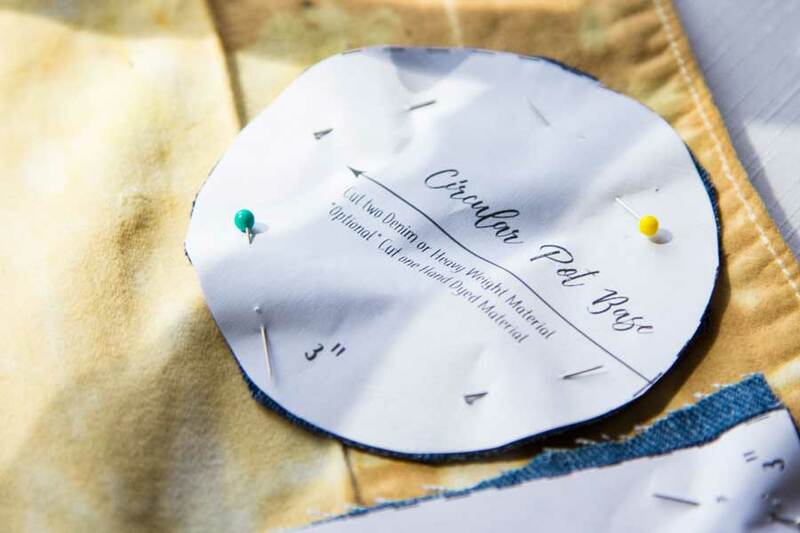 Mark the circular points from your pattern on to your fabric pieces. 2. 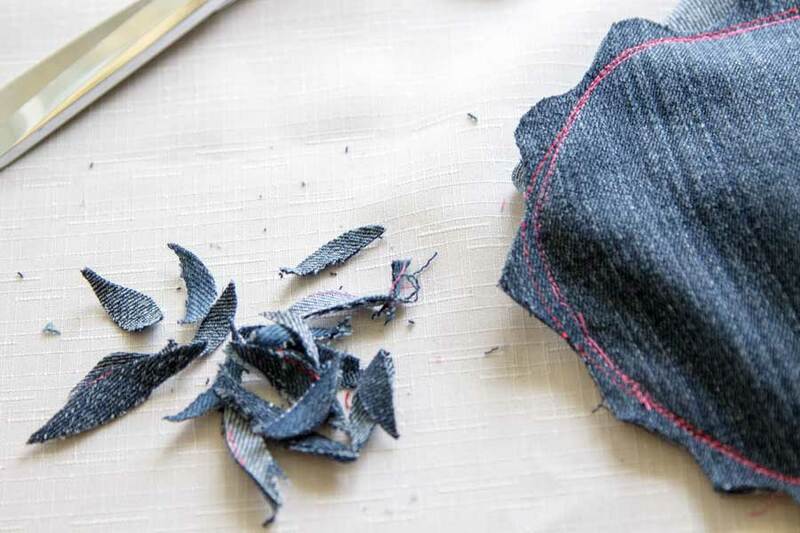 Fold your plus sign denim piece in half to form a partial X. Sew up each of the straight edges ½” from the raw edge through your circular marking. 4. 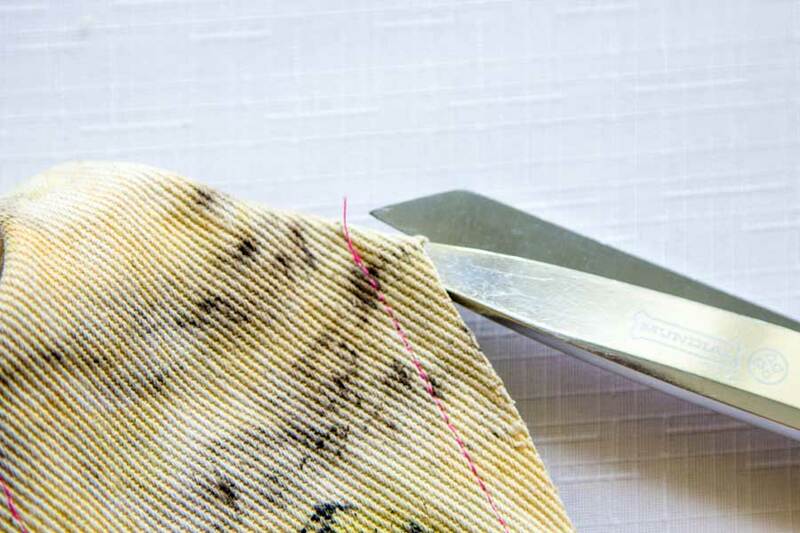 Clip each corner to your circular mark, making sure not to snip through your threads. 5. Press all 4 seams open either using an iron or with your fingers. 6. 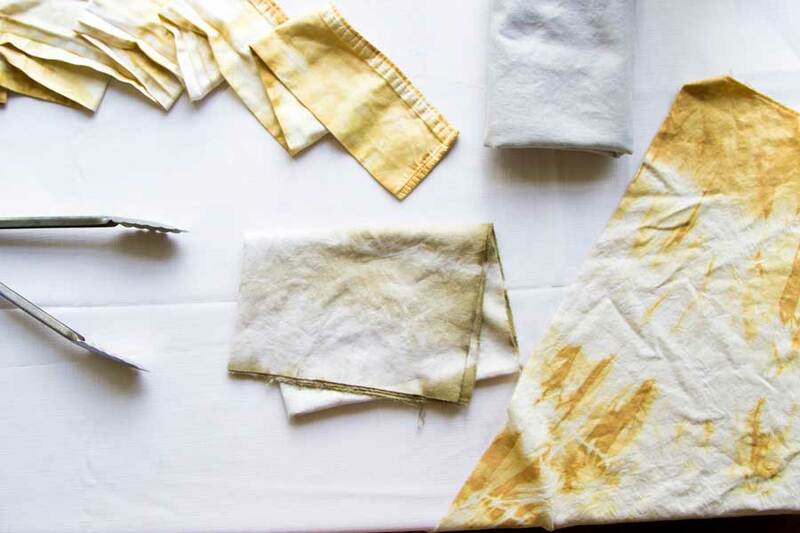 Repeat steps 1-5 with your hand dyed fabric piece. 7. 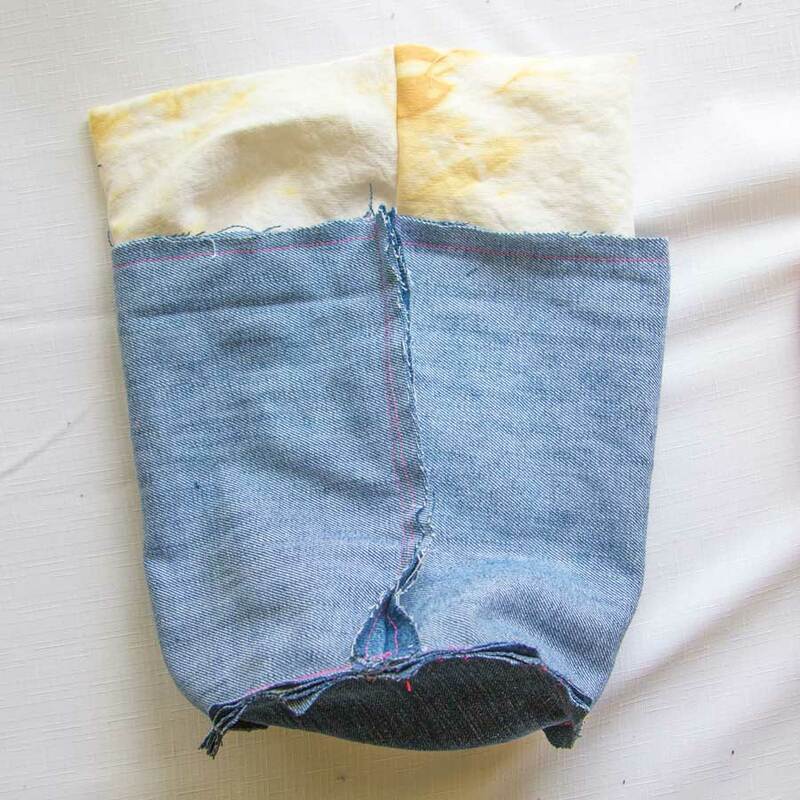 Turn your hand dyed piece right side out and fit it into your denim piece, right sides together. 8. 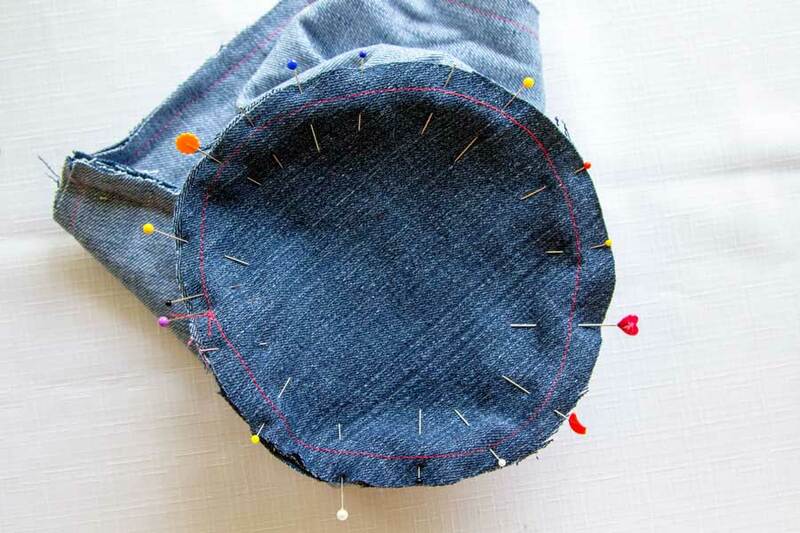 Pin all along the top edge and sew a ½” from the raw edge; depending on the size of your pot, you should leave anywhere from a 1-3” opening so that you can turn out your entire pot. 10. 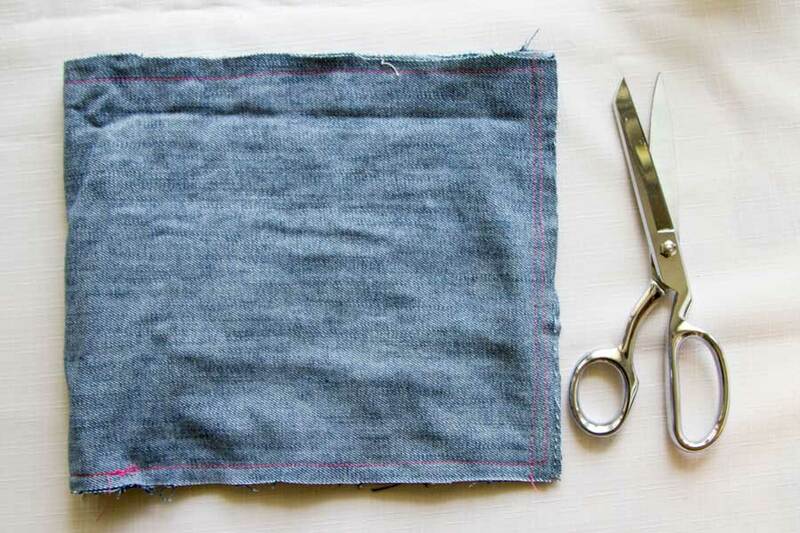 Insert your denim piece into your hand dyed piece with wrong sides now touching and topstitch the entire top edge ¼” away from your seam edge. 11. Enjoy your new pot! 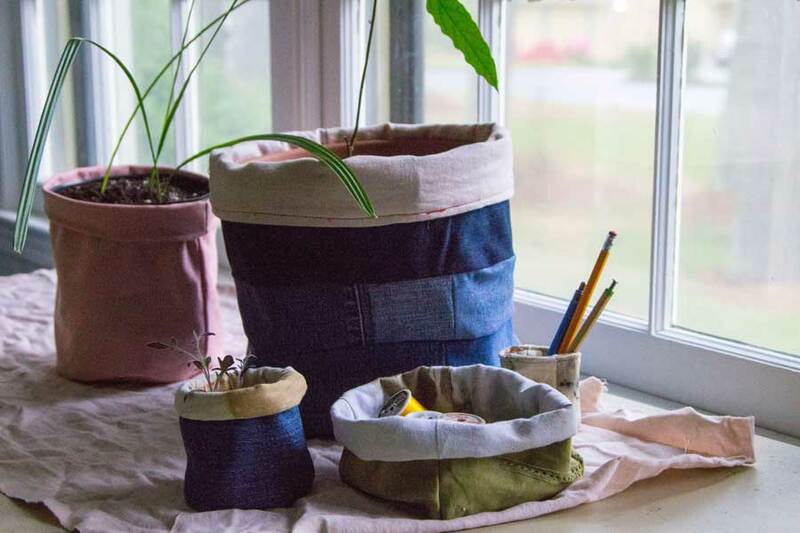 If you are doing a circular based pot, you will be cutting out two of each denim pattern piece to provide extra structure. 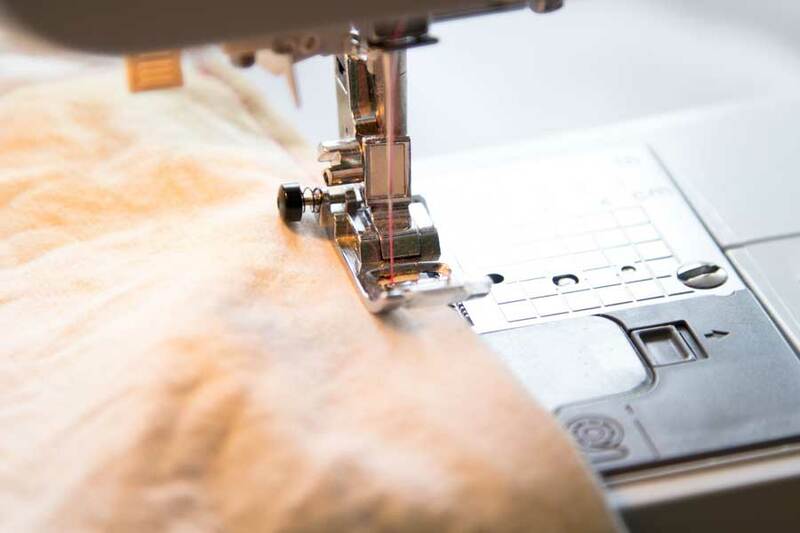 Baste your heavy weight material together ¼” away from the edge of your fabric. 1. 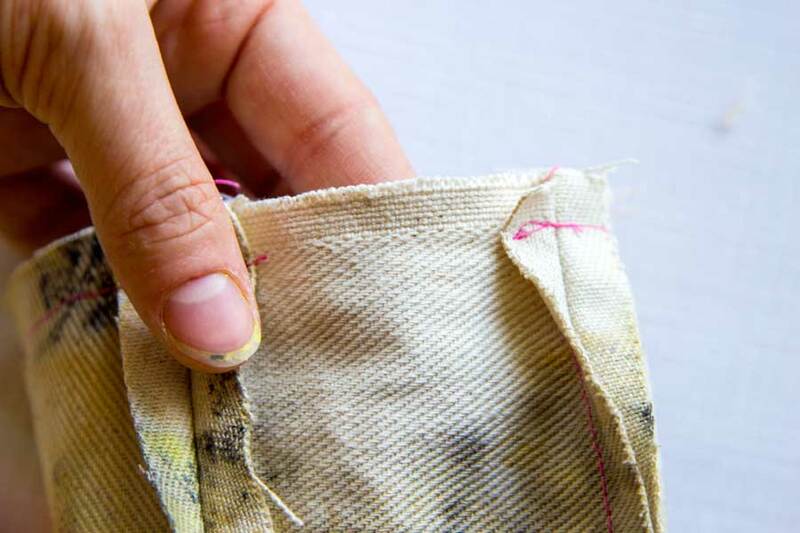 Fold your rectangular pieces in half and sew a seam ½” from the raw edge. 2. 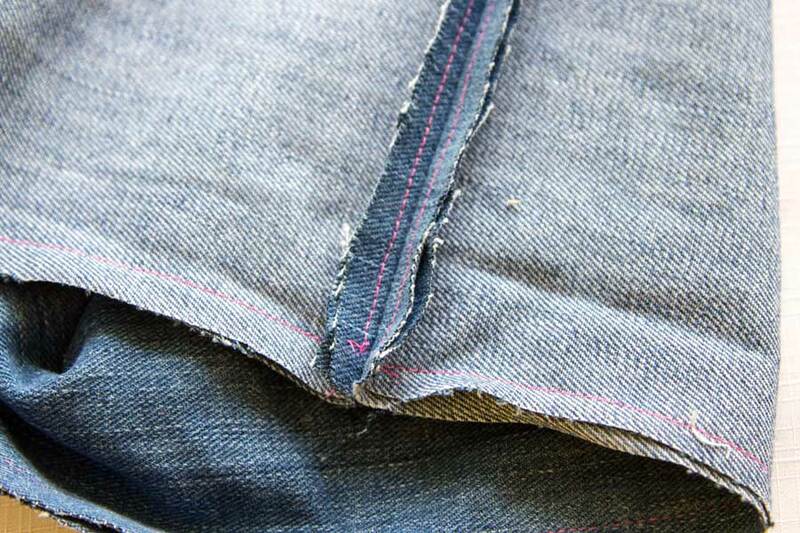 Press your seam open either using an iron or with your fingers. 3. 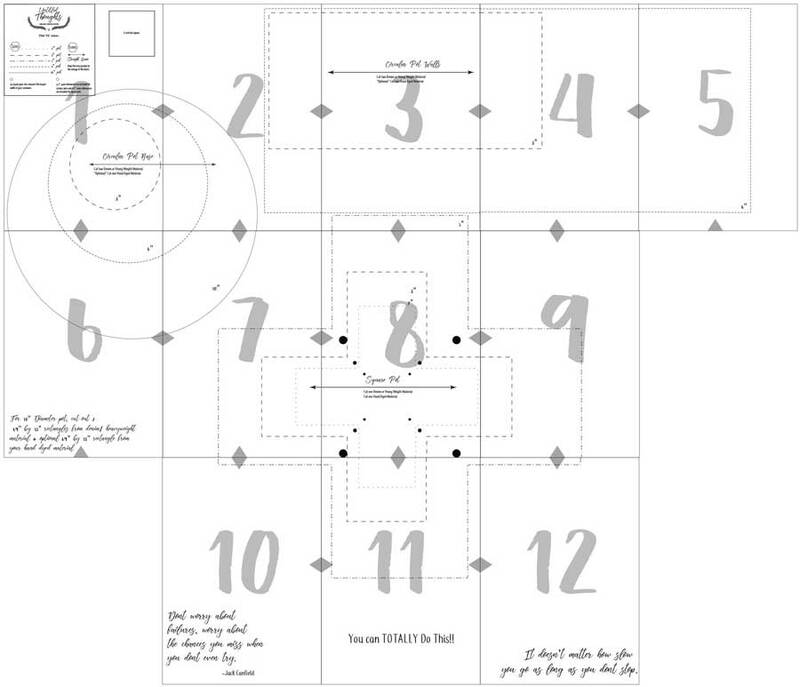 Now, this is the tricky part- we are literally going to put a circle within a square. Feel free to bust out as many pins as you might need, and be patient with yourself as you ease your circle into your square shape. 4. 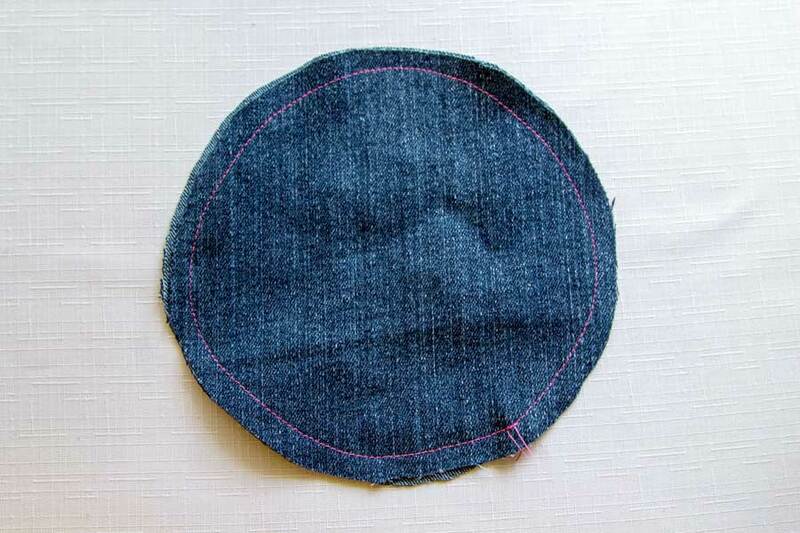 Sew around your circle ½” from the raw edge. Clip triangles around your entire circle- this allows for the base of your pot to remain smooth and rounded once you turn it right side out. 5. 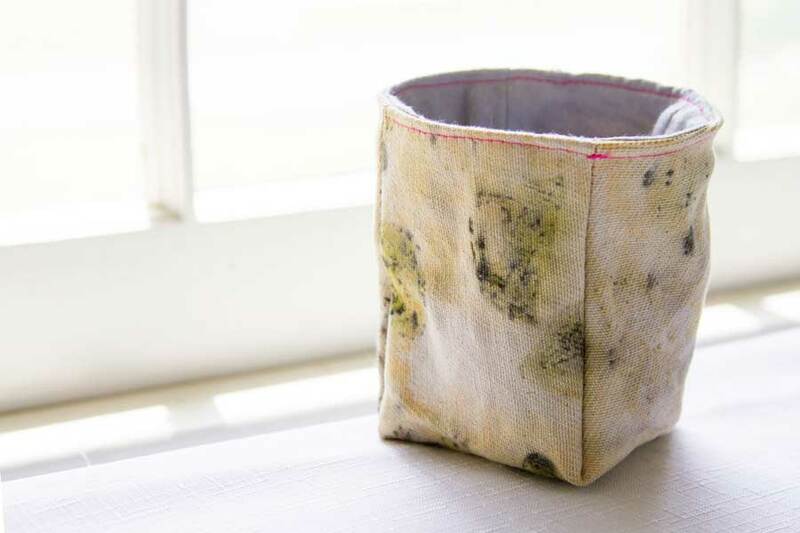 Repeat steps 1-4 with your hand dyed fabric pieces. 6. 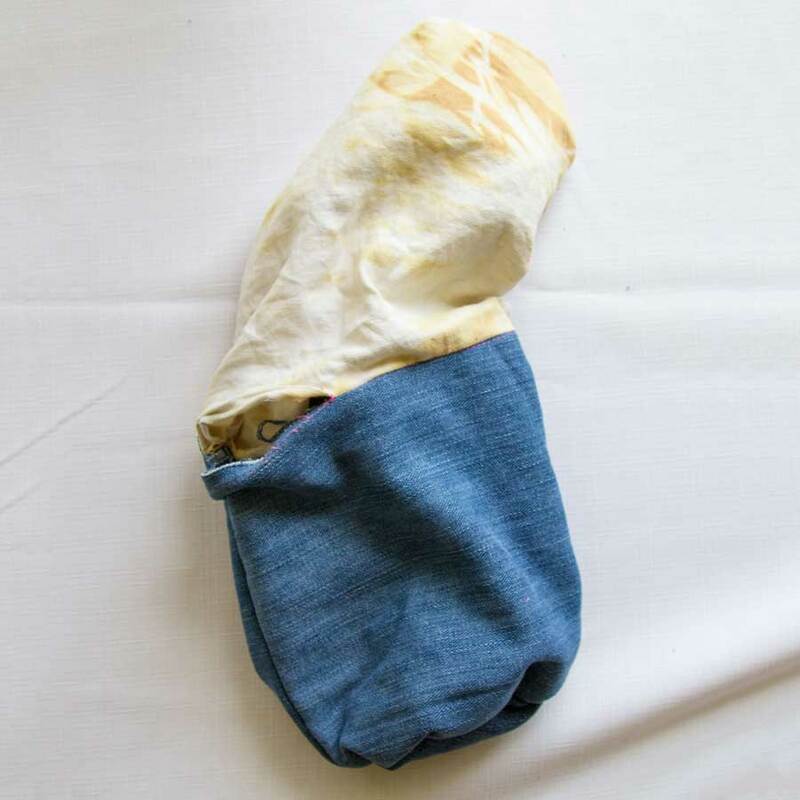 Turn your hand dyed piece right side out and fit it into your denim piece, right sides together. 7. 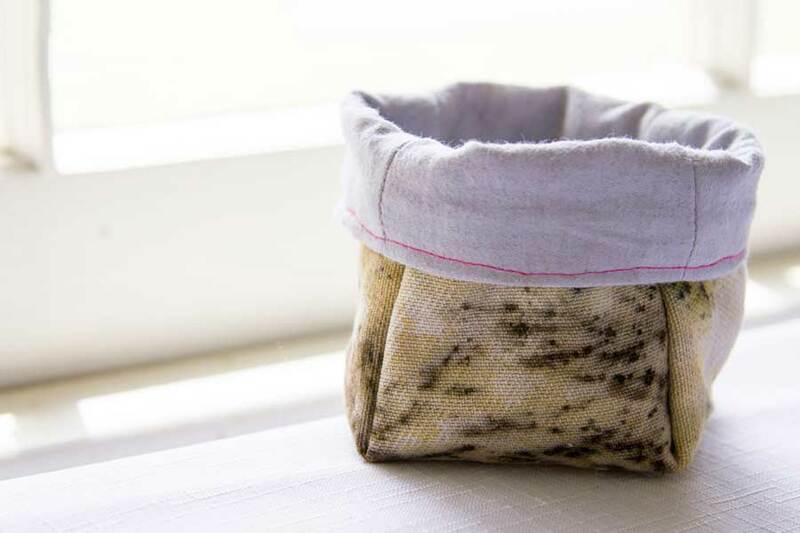 Pin all along the top edge and sew a ½” from the raw edge; depending on the size of your pot, you should leave anywhere from a 1-4” opening so that you can turn out your entire pot. 9. 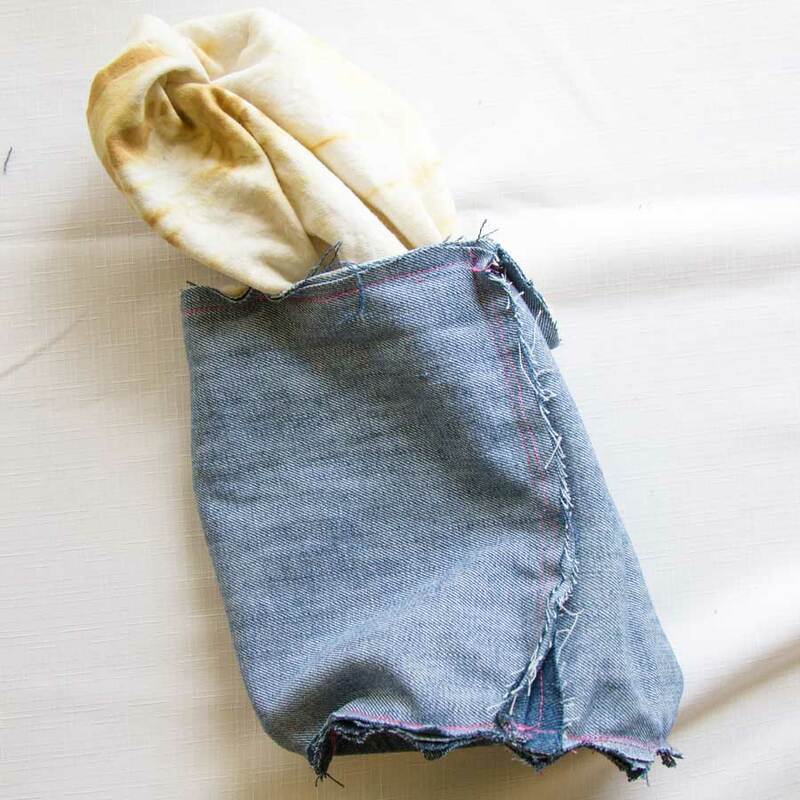 Insert your denim piece into your hand dyed piece with wrong sides now touching and topstitch the entire top edge ¼” away from your seam edge. 10. Enjoy your new pot! I’d love see your dye experiments and the end result of your flower pots (or whatever you wind up using each “pot” for!) Feel free to tag me @untitledthoughts on Instagram with your makes. 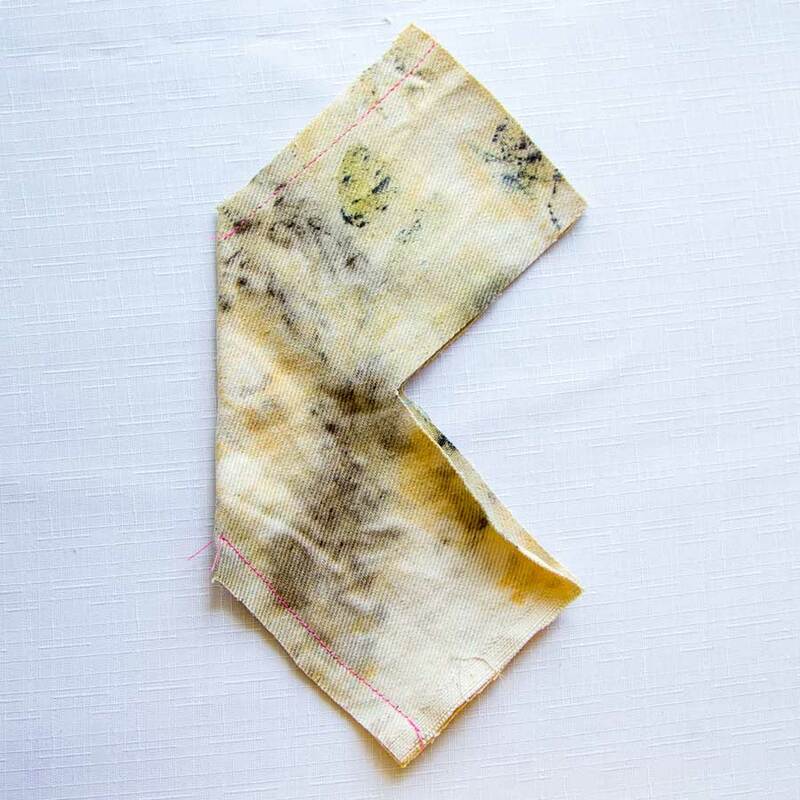 You can find more of my patterns, designs, dyeing shenanigans, and attempts at living a zero waste life on my blog and website!